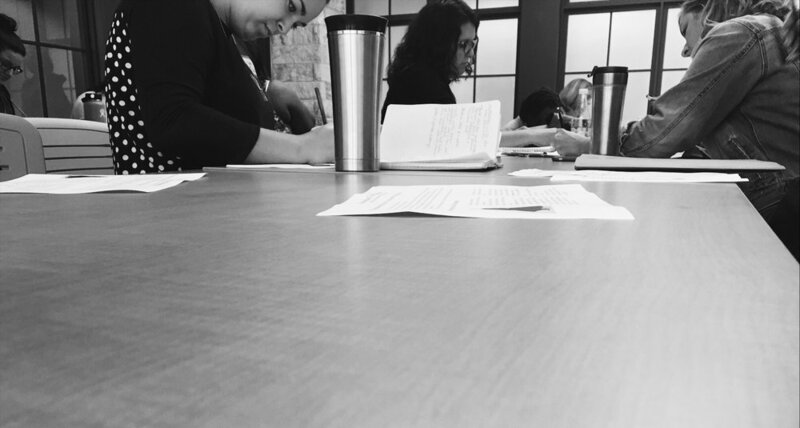 On July 29th, I attended my first writing conference, The Cleveland Inkubator, which I registered for way back in May. I had no idea what would come out of it - for the past two months I let the day of the conference sit in the back of my mind, but as it crept up on me in my calendar I grew more and more excited. I was at the rapid station by 7:45, waiting for my train, anxious to get downtown and start the day. 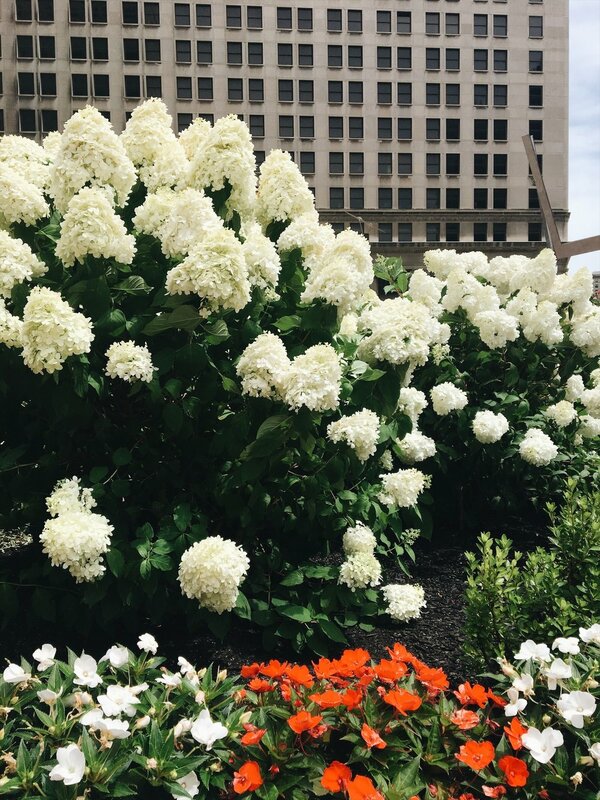 When I walked out of Tower City, Public Square was literally glowing from the morning sun, so I walked through the park, headphones in, filled head to toe with happiness. Since returning to Cleveland after my freshman year of college, I've become such a homebody. 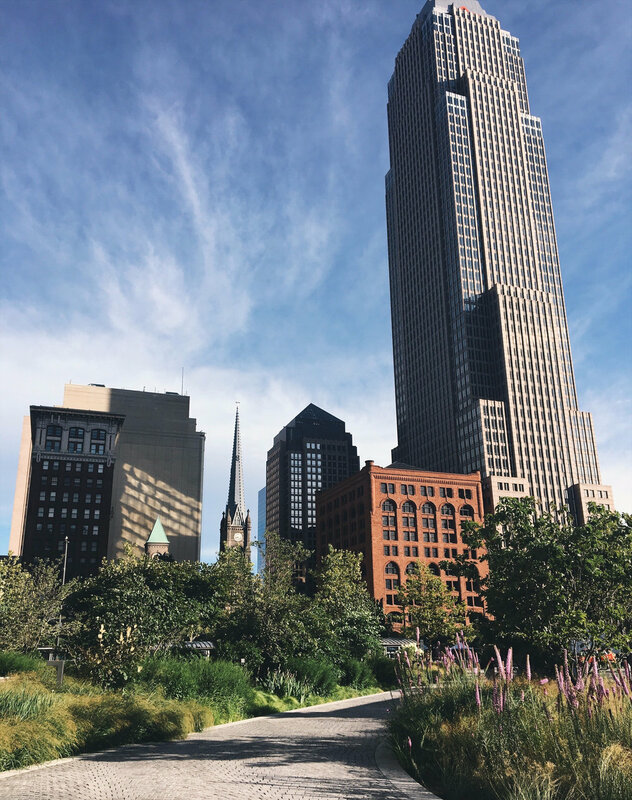 While I do have an endless love for other big cities and a need to explore, I always find something new to love about the metropolis that lies before my feet. After a quick trip to Rising Star I made my way to the Cleveland Public Library and picked up my conference schedule. The Stokes Wing of the library was buzzing, with people of all different ages chatting amongst themselves. At 9:30 everyone filed into the auditorium to see keynote speaker, author Dan Choan. He talked a lot about his writing process, his origins, and read a passage from his latest novel, Ill Will, which takes place in Cleveland. Choan shared a cool story with everyone - in seventh grade his class had to write a letter to their favorite author, and Choan wrote to Ray Bradbury. When Choan revealed that Bradbury replied to him (and that he has multiple letters from Bradbury), a collective gasp filled the room, and a smile spread across my face. It was comforting to be among my own people - scribbling in notebooks, wondering what it would be like if the author of Fahrenheit 451 wrote to us. In his reply to a 13-year-old Choan, Bradbury encouraged him to be a writer, to read a lot, and not worry about whether or not his writing was good or not. An hour or so later, it was time for the first session of the conference. I was placed in a workshop about writer's block and how to start a novel, which was led by local author D.M. Pulley. Although the main focus of the workshop was writer's block, Pulley spent a lot of time talking about her background - writing wasn't her first career. Interestingly enough, she went to school for engineering, and started writing in the middle of her life, after she married and had children. Even though I've been writing since elementary school, I found her message comforting - there's no right or wrong time to start writing, or identify yourself as a writer. After the first workshop ended, we had an hour lunch break before the second session, so I walked to Heinen's, feeling like a somebody. In the auditorium earlier that morning I looked around and felt a little insecure when the introductory speaker asked if anyone had attended a writing conference before, a majority of the hands in the room were raised. I thought to myself - am I starting out too late? Should I have started attending conferences earlier? But I relaxed when the follow-up question was asked for newcomers - is this anyone's first time attending a conference? Maybe fewer hands were raised, but I shook off my previous anxieties and insecurities, and replaced them with a sense of belonging. I wasn't the youngest, or oldest person in attendance. The summer before my junior year of college is as good a time as any to go to my first conference. The second session of the conferences consisted of two back-to-back craft talks (lectures). The first one I attended was about submitting work to publications, which was probably my favorite part of the day. The lecture was led by a former editor of a literary magazine, and she was refreshingly honest about the world of literary magazines, the submission process, and how submissions are chosen. She put us in the shoes of an editor, and did not sugarcoat anything, which I found very helpful and eye-opening. My second craft talk was about freelance writing, and how to make a living out of it. While a lot of the information was beneficial, I feel like it was aimed towards an older audience. "The things that you invest time in are the things you will make progress on." This can apply to anything (the instructor made a reference to watching Netflix when she said this - you can become really good at binge-watching), but it hits close to home with writing. Writing does come naturally to some, but no matter how skilled you are (or think you are), you still have to practice. Like any hobby or passion, writing is something you have to continuously work at. That's why I have this blog - besides being a platform for my voice, it's an opportunity to break new ground, and become better at writing. 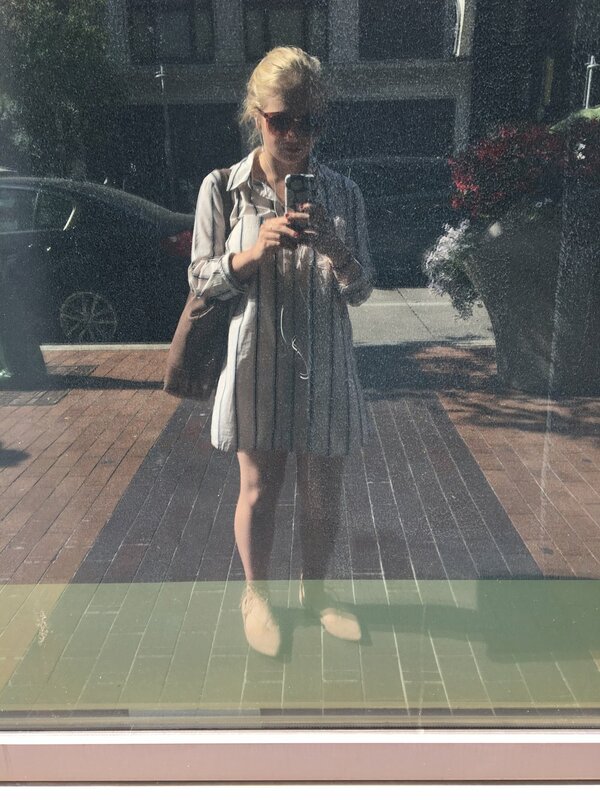 When the last session ended, I walked out of the library feeling a little wiser, and more comfortable with who I am as a writer. I put my headphones in and made my way back to the Tower City rapid station, ready to call it a day. This year was actually the third year of Cleveland Inkubator, which I didn't know before. 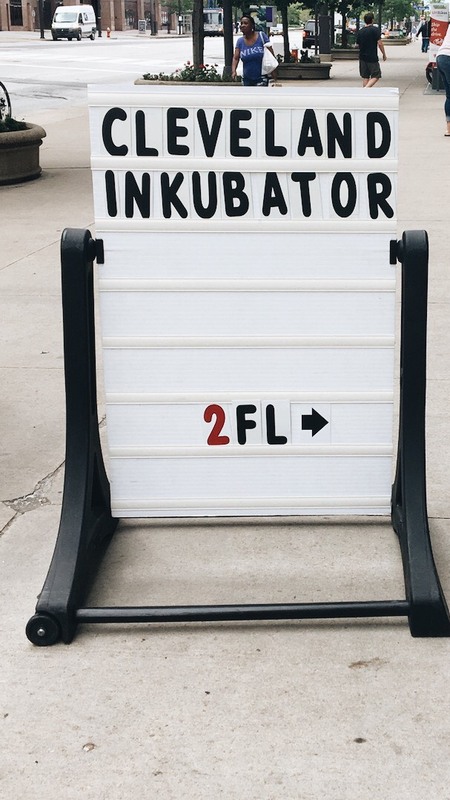 Literary Cleveland turned this year's Inkubator into a week-long event full of readings and writer meet-ups, but the conference was the main event. To me, the world of writing (and writing itself) is often met with intimidation. At times there is an air of exclusivity to it - sometimes the exclusivity is intentional, sometimes it isn't. Over the years I've noticed a kind of hierarchy based on education levels (BA, MA, MFA) and number of accolades and publications. There are so many different stereotypes and aesthetics associated with writers, and I feel like that is what throws people off, and discourages beginners, or those who are curious about writing but don't know where to begin. What I liked most about Cleveland Inkubator was that it was so inclusive - there wasn't just one type of writer. It was an outlet of self-expression, a diverse gathering of people who just love to read and write and want to learn more about how to become better, and how to make their voices be heard. Thank you, Literary Cleveland and Cleveland Inkubator for a great day, and for giving me another milestone as writer! 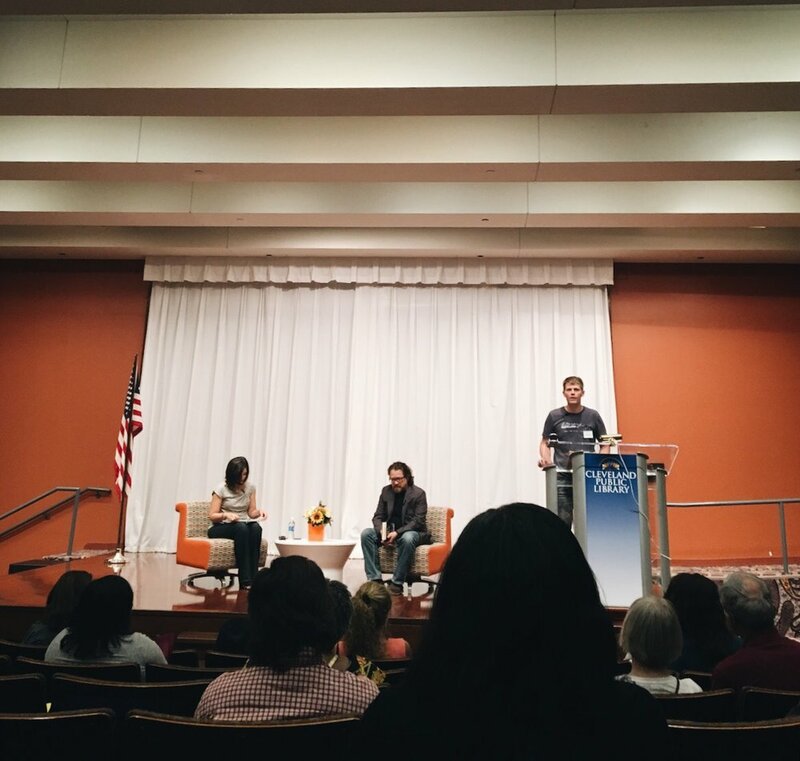 To learn more about what Literary Cleveland does and future events, click here.